Chances are you won't see Mel Gibson doing much press for The Professor and the Madman. While he stars in the film and serves as a producer, he was engaged in a legal dispute with another production company that very nearly derailed any hopes of a release. Fortunately, the bizarre story of the Oxford Dictionary's origin will be told in a couple of months, and here's the latest trailer. Gibson stars alongside Sean Penn, a duo that would've meant huge box office back in the day. Now they're almost an asterisk in the movie they're headlining, which follows the titular professor and a convicted murder who collaborated on defining the English language. The film co-stars Steve Coogan, Natalie Dormer, Jennifer Ehle, and Ioan Gruffudd while director Farhad Safinia had his name taken off the project. Doesn't bode well, does it? Here's the official synopsis: Based on the worldwide best-selling novel by Simon Winchester, THE PROFESSOR AND THE MADMAN is an extraordinary true tale of madness, genius, and obsession about two remarkable men who created history with the writing of the Oxford English Dictionary. The compilation of the Oxford English Dictionary began in 1857 and was one of the most ambitious, and revolutionary projects ever undertaken. 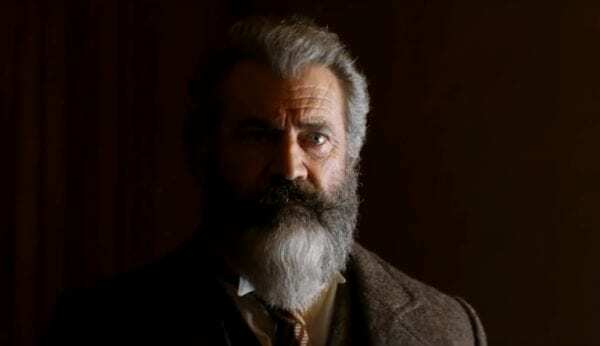 Professor James Murray (Mel Gibson) took on the challenge of creating the most comprehensive dictionary ever compiled, but knew that it would take him and his team over a century to compile all known definitions. However, by “crowd sourcing” the work, that is, by enlisting definitions from people all over the world, the dictionary could be compiled in mere decades. As definitions were collected, the overseeing committee, led by Professor Murray, discovered that one man, Dr. W.C. Minor (Sean Penn), had submitted more than ten thousand words. When the committee insisted on honoring him, a shocking truth came to light: Dr. Minor, an American Civil War veteran, was a convicted murderer and being held at an asylum for the criminally insane. The Professor and the Madman hits theaters and VOD on May 10th.